The Corekees Foundation is supported and advised by a Board of Advisory. The Board of Advisory is comprised of academic leaders in the areas of sustainability and finance. The Board frequently advises Corekees on a strategic level. Each of the board members is involved because of their affinity with the Corekees story and its founders in their efforts to make a difference in a world that is ready for a change. 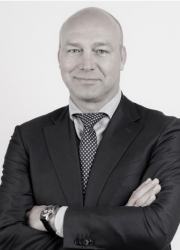 Dr. Jeroen Weimer (1967) has been a partner at KPMG Advisory for 13 years, where he established the Dutch Valuations practice and has been leading the Corporate Finance department. In 2018 he co-founded Value Insights, a high-end deal advice and dispute resolutions boutique. Jeroen proudly supports Corekees because of its focus on sustainability and its passionate entrepreneurship. 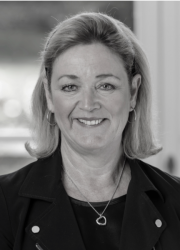 Miriam Maes (1956) has worked over 35 years for several multinationals like Unilever, ICI and the Marmon Group. She has been the CEO of Foresee, an energy and climate change strategy consultancy. Miriam was also an Advisor to the UK Department for Energy and Climate Change. She is currently serving as Chairman of the Supervisory Board of the Port of Rotterdam and as a Non-Executive Director on the Board of URENCO. She is also a Non-Executive Director on the Boards of three Euronext-listed companies. Miriam will advise and support Corekees in the fields of sustainability, renewable energy and the transport & logistics industries.